Rebuild Hoboken Relief Fund has additional funds for distribution to aid the community in the lingering aftermath of Superstorm Sandy. The organization announced that a second round of grants would go to Hoboken-based nonprofit organizations with still unmet needs that arose from the storm. Deadline for applications for assistance is April 30. Applications are available on the Rebuild Hoboken website at http://rebuildhoboken.org/#aid. Completed forms should be sent to Info@rebuildhoboken.org or mailed to 518 Park Avenue, Suite 1-R, Hoboken, NJ 07030. The review process will be conducted once again by the Hoboken Clergy Coalition. This new round of funds will be divided equally among nonprofits qualifying for aid. The money to be distributed was received after the initial allocation of aid last March, which went to residents and businesses meeting the criteria for assistance. Nearly a million dollars was issued at that time. 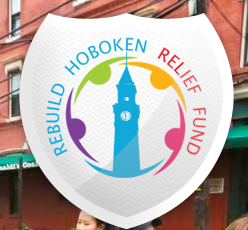 Rebuild Hoboken Relief Fund is a 501 (3)(c) charitable organization created to help individuals, families, small businesses and charities recover from losses suffered as a result of the storm and fill the gap between FEMA assistance and insurance reimbursement.